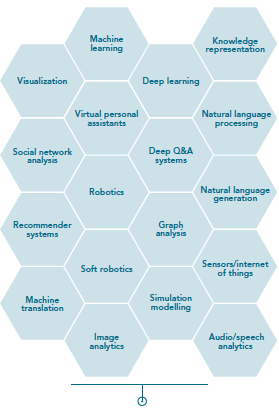 The field of artificial intelligence (AI) has evolved to cover an extensive range of concepts, from cognitive computing to natural language processing to image analytics. Machine learning, which can be defined as the science and engineering of making machines “learn”, is at the heart of AI, progressively transforming the way in which life insurance and other industries operate. Insurers benefit considerably from the intelligent analysis of data, also known as Text Mining, Text Analytics, or Natural Language Processing. Insurers gather immense volumes of text daily from multiple channels, including websites, email, social media networks, agents, and customer care centers. The collected information includes policies, expert and medical reports, claims, and other customer-related data. Through proven methods, text mining technology coupled with machine learning allows companies to more quickly and accurately detect natural language text patterns generally missed by conventional approaches, thus leading to improved decision making. SCOR Global Life’s team in Singapore developed a text mining solution to meet the needs of a client in China seeking to find an automated way to classify medical reports for critical illness claims, which would lead to better health data analysis and improved decisions in key areas. A team of SCOR Global Life’s experts worked closely with the client and presented the final machine learning algorithm, the results, and helped them deploy the solution in their IT systems. The SCOR Global Life team continues to ensure the client masters the solution from natural language processing, which was adapted to the specificities of the Chinese language, to the algorithm. Please click here to find out more about the impact of artificial intelligence on the (re)insurance sector.